« ICN event in Cairns 22.05.17. Free. Awesome. 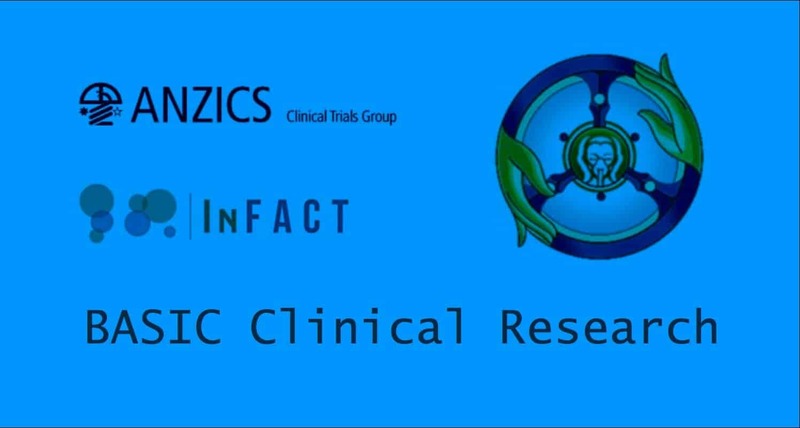 Want to learn the BASICs of clinical research? 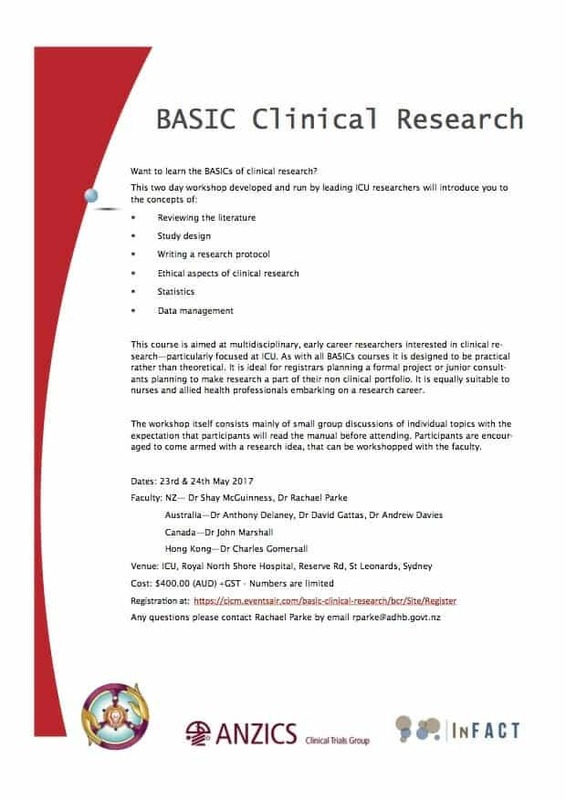 This course is aimed at multidisciplinary, early career researchers interested in clinical research—particularly focused at ICU. As with all BASICs courses it is designed to be practical rather than theoretical. It is ideal for registrars planning a formal project or junior consultants planning to make research a part of their non clinical portfolio. It is equally suitable to nurses and allied health professionals embarking on a research career. The workshop itself consists mainly of small group discussions of individual topics with the expectation that participants will read the manual before attending. Participants are encouraged to come armed with a research idea, that can be workshopped with the faculty.